- What about each approach appeals to you and what does not? - How much of each approach was influenced by the investor's personality and how much by the external environment during which they were investing? - How successful would each of these approaches be in the current investment environment? After a thorough study of this material you should begin to build your own value investing framework that is internally consistent and is suited to your own specific strengths rather than being merely an imitation of one of the investors that you study here. You can become proficient at value investing by imitating the approaches of successful value investors, but to become a master investor yourself you need to think deeply about building your own cohesive framework. This classic text on value investing is an excellent starting place to learn the principles of value investing and how to apply them in practice. On the other side of the intrinsic value investing continuum from Graham’s Security Analysis, Fisher teaches us the value of intangibles and the dynamic nature of business value. An in-depth description of the first part of Buffett’s investment journey from a Graham-style value investor closer toward a Phil Fisher-style value investor. While the Buffett Partnership letters are not officially available, clicking on the link above will bring you to search results where you will likely be able to find several compilations. The continuation of Buffett's investment journey and the many lessons it offers. Study how great investors have been able to generate impressive long-term returns with very different investment approaches. Learn about the investing approaches of a new generation of investment greats. One of the key ideas of this work is that we are not limited to the current opportunity set when making investing decisions. The idea that we should consider tomorrow's opportunities has profound implications on how one might consider cash in the portfolio. Peter Lynch stresses the importance of primary research and by looking for investing ideas among businesses that you already know something about through your daily life. While written for a more general audience than some of the other books on this list, it is helpful to balance out the ideas of value investors focused on very cheap securities with the ideas presented in this book which focus on underappreciated growth businesses. Taking a break from studying great investors, it's time to start thinking deeply about how to analyze industries and companies, and for that there is no better starting place than Michael Porter's enduring classic. Whether you are leaning towards a style of value investing focused on reversion to the mean or the one focused on finding underappreciated compounders of capital, you will need to be able to understand what the future economics of the underlying business are likely to be. Valuation metrics alone hold little meaning without a deep understanding of the company that you are valuing, the industry in which it competes, and the competitive advantage (or lack thereof) that it possesses. Not really written by the Adam Smith you might be thinking of, this is a hilarious account of the investing in the context of the go-go market environment of the 1960s. While I hope you will be entertained by the anecdotes you read in this book, there is also a more important message that you should take away. If you thought that investing is done by rational participants making carefully analyzed judgments about the worth of the securities in which they are transacting, this account should make you reconsider. This account by a successful practitioner of value investing is particularly valuable because it goes through a 30-year period year by year and shows how the author successfully applied his approach while managing a value-oriented mutual fund. Incidentally, the time period that is covered overlaps with the go-go years described in The Money Game above, and you should enjoy the different perspective on the same market environment. Part investing tutorial and part investing diary from decades of international value investing, Anthony Bolton's book highlights the practical elements of implementing a value investing approach outside the U.S. I had the privilege of working with and learning from Joel when I started my investing career at Fidelity, and he is one of the best value investors that I know. His approach focuses on predictable businesses managed by honest and competent people that are trading at low valuations based on their earnings. This is a terrific book that not only explains his investing process, but also gives a number of in-depth examples. Using the writings from Marathon Asset Management, the author presents how a quality-oriented international investing approach was implemented during the 2002-2015 period. A key theme throughout the book is the importance of supply in determining the structural attractiveness of industries. The author argues that many industries go through a very similar capital cycle which, if the investor is attuned to what to look for, can be exploited by a contrarian with a long-term time horizon. A practical overview of how to identify superior companies that can be very successful long-term investments. The relatively recent examples used in the book make it a helpful modern work for someone interested in learning how to practice the Phil Fisher-style of intrinsic value investing. Despite its title, this is serious book by one of the best value investors on how to invest in special situations. Joel Greenblatt walks us through examples of spin-offs, post-bankruptcies and other one-off situations where some combination of forced selling and neglect can create opportunities for a value investor who is willing to do the work. While some of these investment categories (e.g. spin-offs) are no longer as inefficiently priced as they were 20 years ago, this is still an excellent area to focus on in order to find investments that have low long-term correlation to other parts of the market. Based on the thoughtful memos from Howard Marks, one of the best distressed debt investors, this book covers a lot of ground and teaches you how to think about the investing environment as it evolves without getting bogged down by the unimportant. Rigorous process is crucial to a successful value investing approach. Michael Shearn uses the checklist paradigm to break down the various steps of the research process and help you think about them in a systematic way. While your specific steps and checklists might be different, it's hard to argue with the general framework. An excellent overview on how to think about building your idea generation process. The most robust approach is going to need to combine several distinct sources of ideas in order to uncover the most attractive opportunities, and this book will help you think through some of the ways to do that in a systematic fashion. Most books on options are focused on trading options and are concerned mostly with short-term volatility. 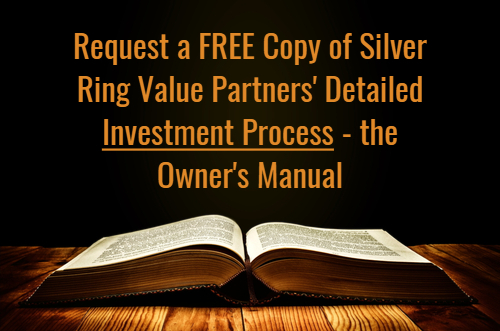 This book shows how one can use options within an intrinsic value framework. While some value investors choose to not use any options, and there are definitely limitations and trade-offs involved in incorporating options into your value investing process, if you are going to do it this book is an excellent place to start. No, this book is not here by mistake. The type of decisions that serious poker players have to make under conditions of stress and uncertainty bear a number of similarities to those that investors are faced with. This book doesn't focus on poker, but rather on how to control your mind and its biases and emotions in order to remain as rational as possible. The key concept is the idea of your A-game vs. the C-game when making decisions. Your A-game is the best technical performance you are capable of based on your knowledge. Your C-game is any deviation from your A-game for behavioral reasons. When two decision-makers compete with the same technical abilities it is the one with the ability to minimize the frequency of their C-game and the degree to which it deviates from the A-game that will have the advantage. Once you have mastered the concepts of value investing, the two areas for improvement are 1) becoming a better business analyst and 2) working on your mind to remain as rational and unbiased as you can be. This book can help you with the latter. The former will likely take many years of studying different business models and learning from the mistakes and successes that you will encounter along the way.